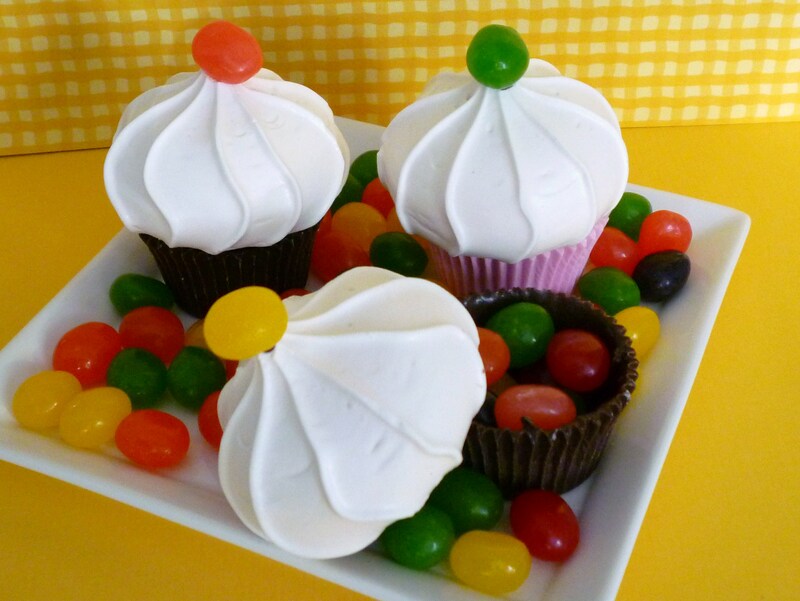 I should have put a ruler or tape measure in this photo so that you could really see how tiny these candy cupcakes are! 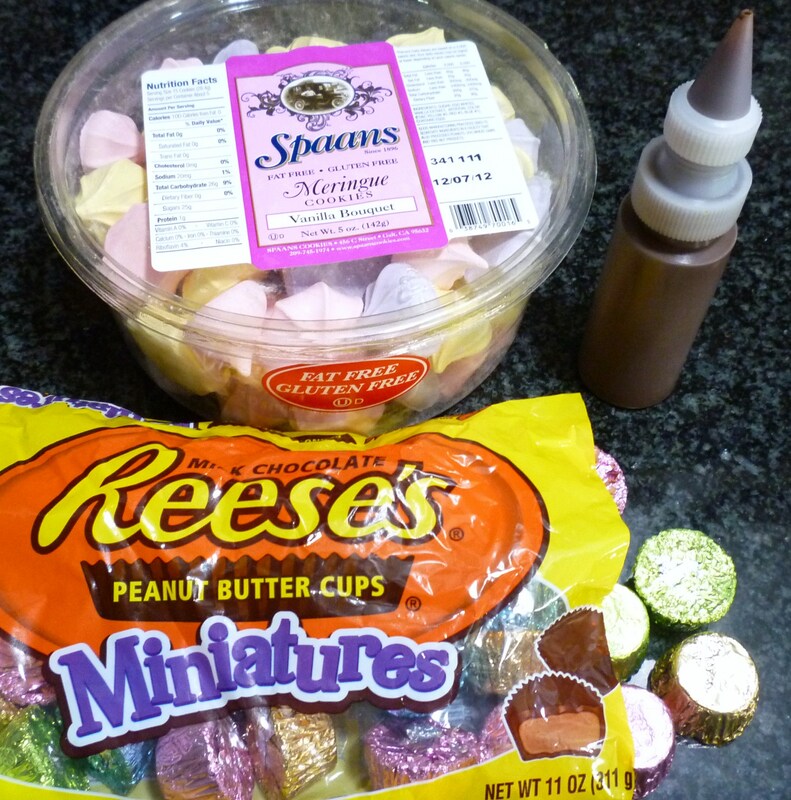 The foil wrapped candies are miniature Reese’s Peanut Butter Cups … does that help? 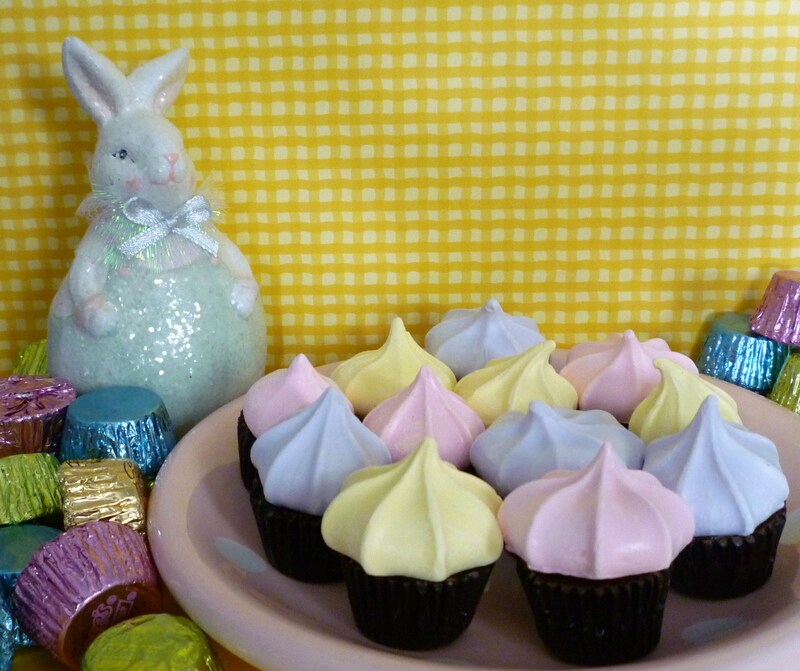 I do like teenie weenie things … especially cupcakes! 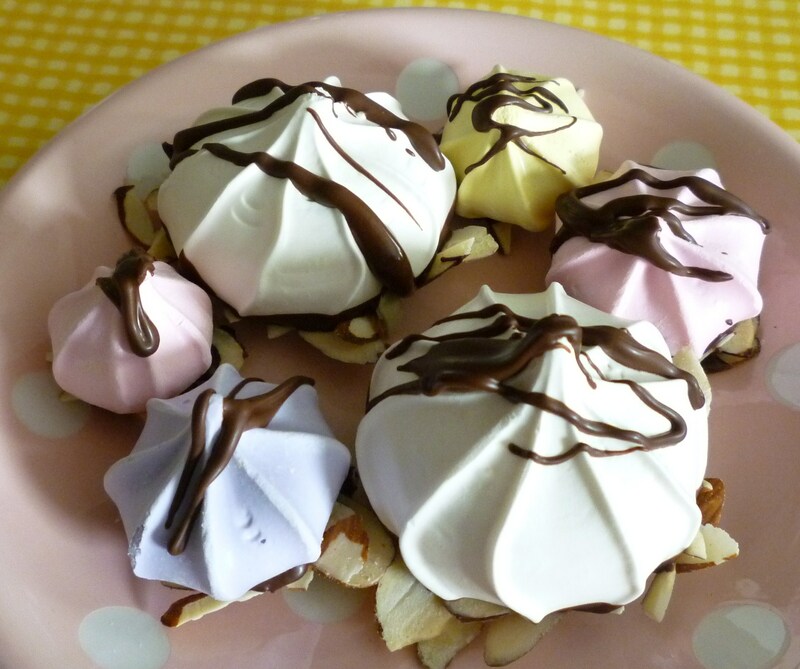 OK … they really are not cupcakes … but I think they could fool somebody … after all, tomorrow is April 1 … April Fool’s Day. Wow … that was so hard to do … hahaha … and it took so long … at least 2 minutes 😉 OK … I am feeling slightly guilty … but just slightly. 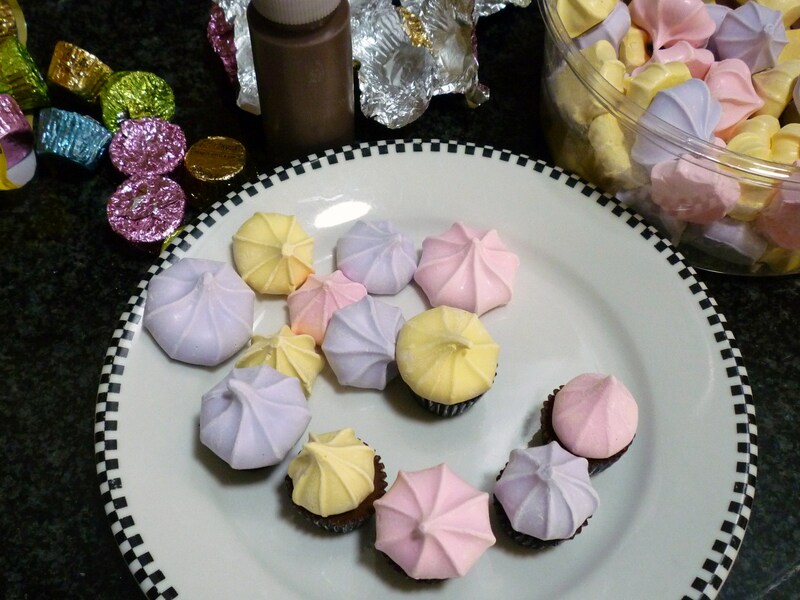 Since we are using meringues as cupcake tops … do you remember the Cupcake Boxes from February? 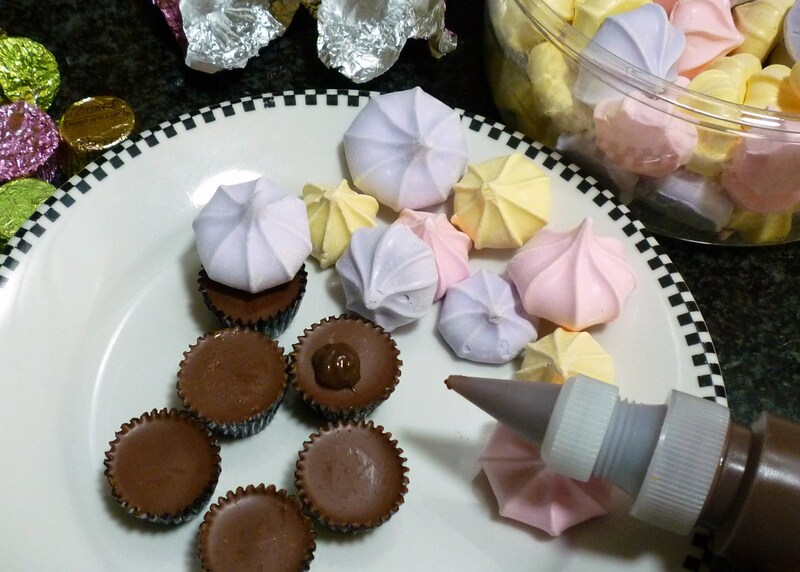 Are you planning any tricks for April Fool’s Day? Your work is done soooo beautifully! Exceptional talents! Thank you so much for sharing with us. You always delight me with your innovative ideas! Cool ideas! Very cute and small! Happy Fools day and thanks for the reminder… I am glad I had he heads up. So, so cute and soooooooo easy peasy. 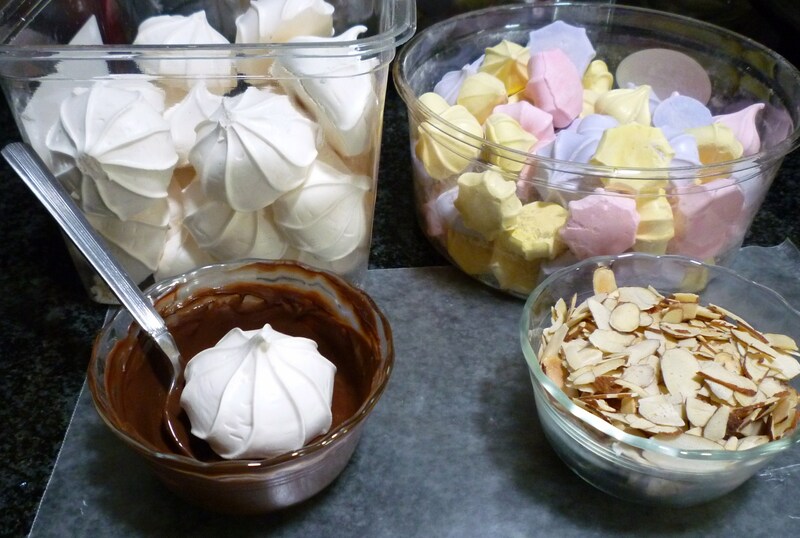 Can you buy them meringues at a local grocery cause I have never seen them here. I bought the small ones at Cost Plus World Market. A friend found them WalMart, I have not seen them at the grocery store. The large white ones came from Trader Joe’s. 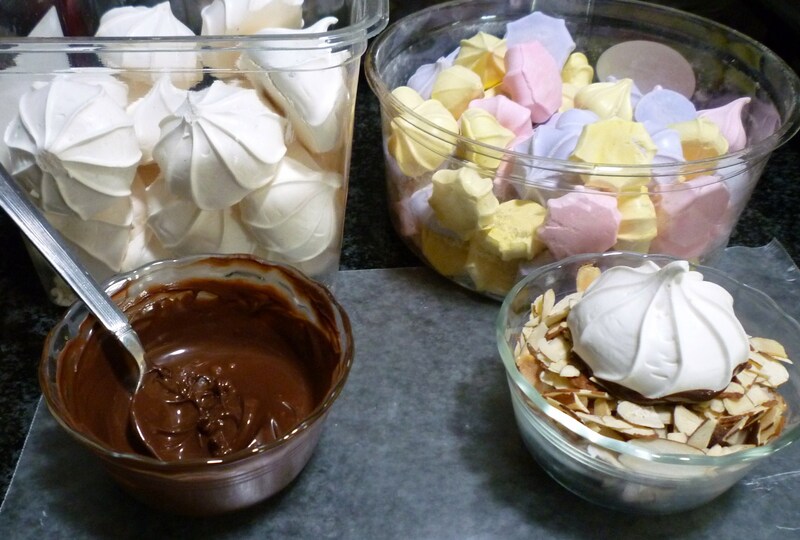 I’m experiencing a major craving for these .. and at 9:56 pm… I’m in trouble! cute meter is reading OFF THE CHARTS! Oh … you are so sweet!